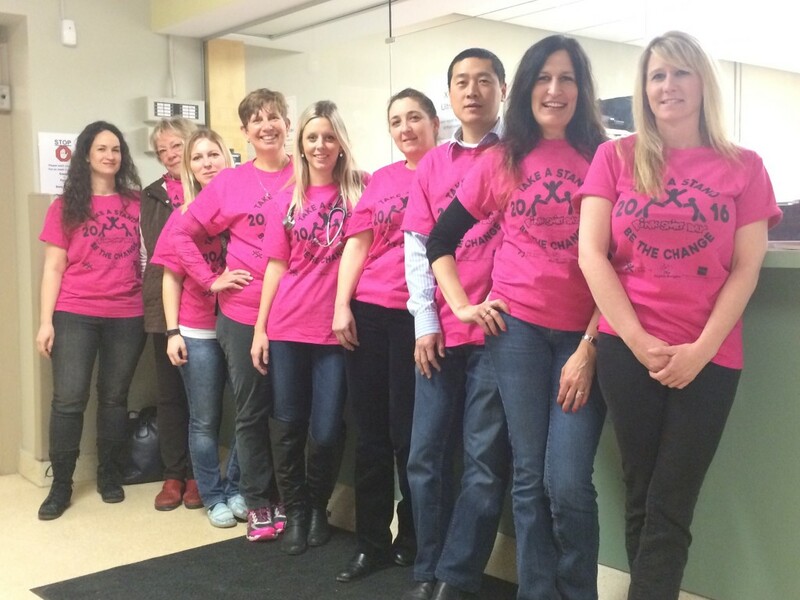 PrimaCare Community Family Health Team is showing their community spirit by supporting the Boys and Girls Club in Brantford with their involvement in “Pink Shirt Day”. Anti-Bullying Day (or Pink Shirt day) is a day when people wear a pink shirt to symbolize a stand against bullying, an idea that originated in Canada. Proceeds from the sale of the Pink T-Shirts go towards anti-bullying initiatives in the various organizations participating. Way to go TEAM! Left to right: Caitlin, Sharon, Elisha, Donna, Alix, Renee, Wei, Lisa & Danielle.